Heavyweight performance in a lightweight tiller. 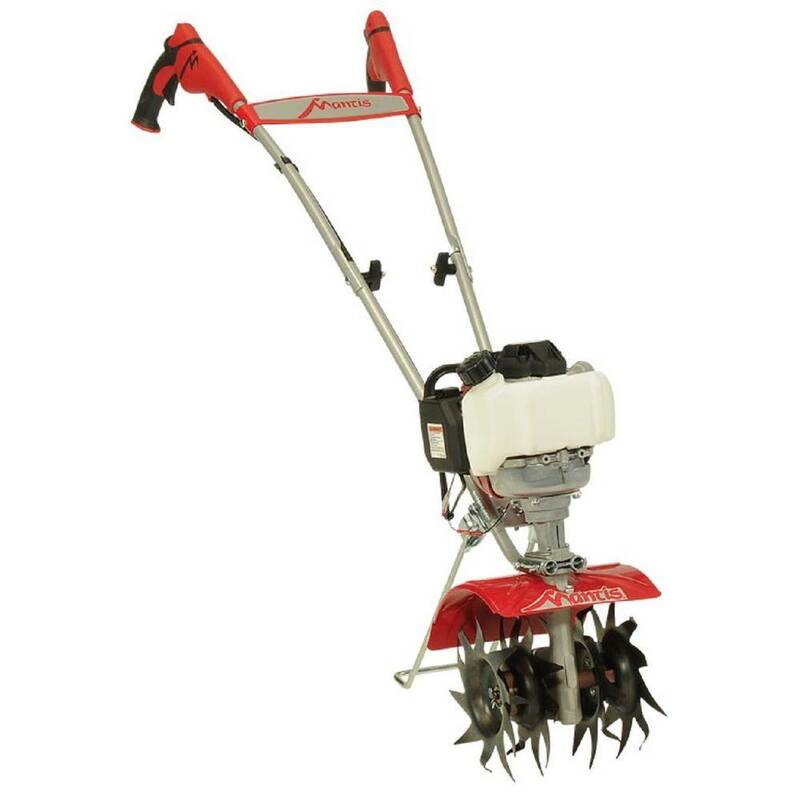 Dig and weed fast and easy with the Mantis Gas-Only 4-Cycle Tiller. Features a Honda 4-cycle engine. Compact, lightweight (weighs just 24 lbs.) and tough enough to till through sod and compacted soil with its unique, curvy tines. Need to weed. Just flip the tines and speed-weed or cultivate the garden. Works well in raised beds, narrow rows and close to fences. Soft, Sure-Grip handles are designed for wrist comfort. Fold-down handles for transport and storage. Perfect for any size garden.